After reading some of the high ratings for the Exerpeutic 900XL Recumbent Bike, I wanted to see if it could really stand up to the test. There are a lot of things to love about this bike. 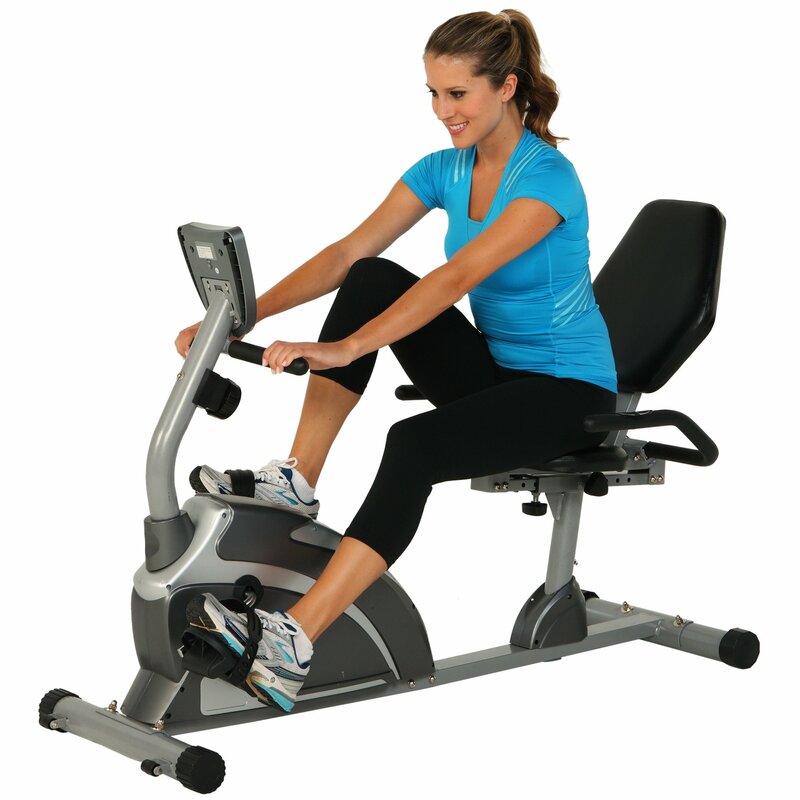 It offers exceptional cardiovascular workouts, magnetic tension control with eight settings, LCD display and supports 300 pounds of weight. For just $169 on Amazon and over 1,000 positive reviews, this bike offered the best price and value. While I loved a lot of different things about this bike, there were a few minor details that could have made this a perfect review. One thing I always look for in any recumbent bike is quality construction. With the 900XL by Exerpeutic, you can tell right from assembly that it is a well-made, sturdy and extended capacity bike. Assembly was quick and practically effortless with easy-to-read instructions. All of the parts came labeled, and while it took a little bit of time to lay out all of the pieces, the instructions take you step-by-step through putting it together. Some parts were a little bit difficult to fit together and took some extra grease, but I still thought it was better than many of the other experiences I’ve had putting together home gym equipment. I was able to start working out in just an hour. The bike really holds its weight against more expensive bikes that offer less for the price. The LCD screen is quite nice and keeps you on track as you work out. You can adjust everything easily as you work out, which means you can go through any number of routines to burn calories and get your heart up. The sensors are fast and worked even when I was barely holding on to the arms. It was easy to get my heart rate up and start pedaling fast. The bike has no issues with wobbling or unstable pedaling. Overall, I thought it was one of the best experiences I’ve had with a recumbent bike from setup to working out. I also found that the bike is easy to fold up and store away when not in use. That makes it even more valuable in my opinion because I hate when gym equipment has to be taken apart in order for you to enjoy your living space. While I believe that it’s quick to assemble, I have put together a few recumbent bikes, which means that I can do it quickly. Other reviews stated that assembly can take up to two hours. All of my parts and pieces were in excellent, brand new condition as well, so it was easy to put them together. There aren’t too many extras with this bike, but the price point offers tons of value. It doesn’t have a TV screen or a phone charger, but if you’re not looking for those bells and whistles, it more than makes up for it with the LCD display and magnetic tension. My friend tried out the bike with me, and she stated that the bike seat wasn’t as cushioned as she would have liked. I found it to be soft and didn’t feel sore when I got up from the bike. However, it may depend on your height and weight. Other reviews stated that there were issues with parts missing or defective upon arrival. The bike comes with a warranty, and most reviews that I read were able to receive a replacement quickly or get a partial refund and replacement part. There are some areas that the bike could improve on. I would have liked to see a bit more grip on the pedals, and the handlebars are a little far forward as it’s more of a racing style recumbent bike. 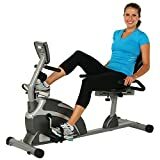 However, it’s easy to see this from the photo on Amazon, and I got used to the setup of the bike after the first few workouts. Overall, I would say this bike is one of the better purchases I have made and give it a 4 out of 5 star rating. For the price, it’s definitely a great addition to any home gym, but you likely wouldn’t find this at commercial fitness center. The magnetic tension and pedaling is what makes this bike a great purchase for me. I found that it supported me throughout my entire workout and made my workout quite enjoyable. I’ll have to write more on the bike’s performance after a couple of months, but so far, I have used it a dozen times, and the Exerpeutic 900XL extended capacity bike really provides an excellent workout at home. I am using it every day just to get in a bit more exercise and training.